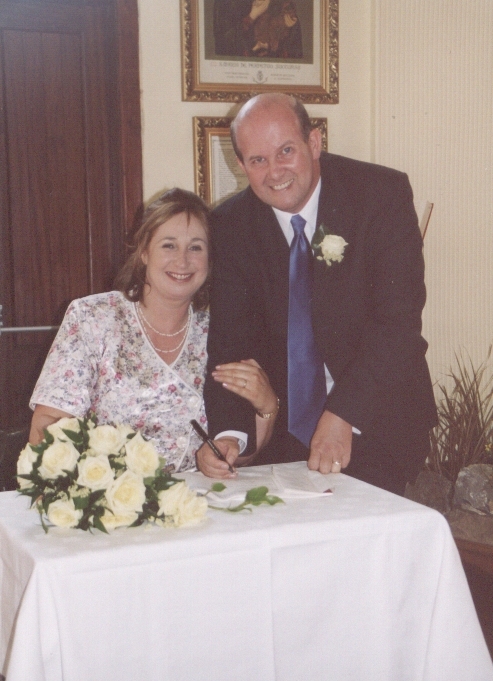 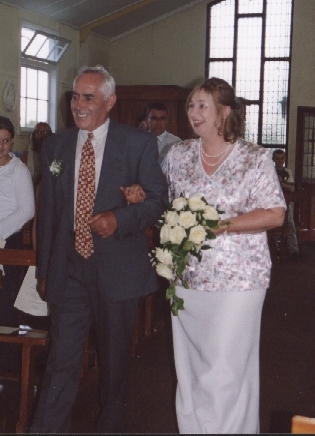 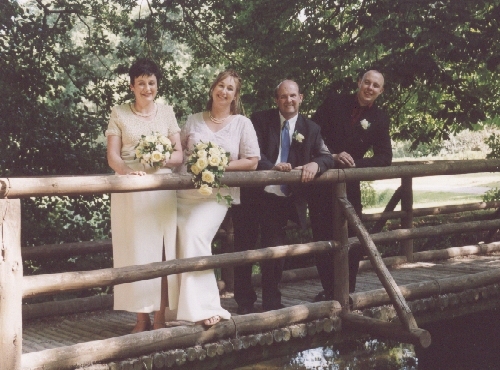 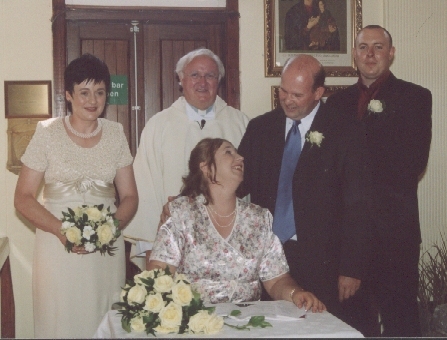 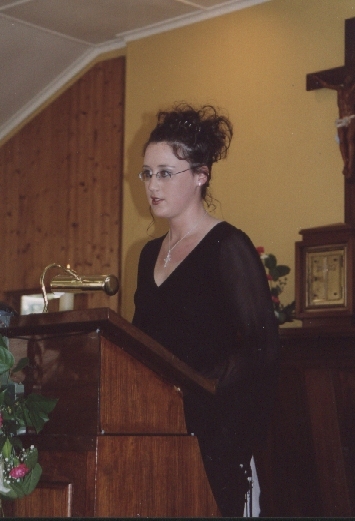 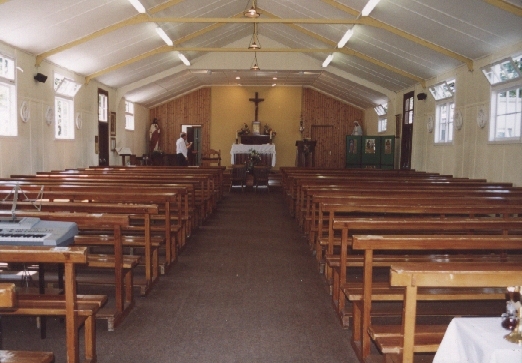 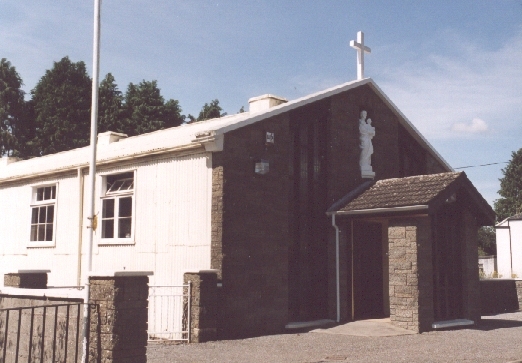 On the 11th August 2003 Attracta Kennedy and Gerard O’Connor were married at St. Joseph’s Church, Hazelwood, New Twopothouse near Mallow Co. Cork. 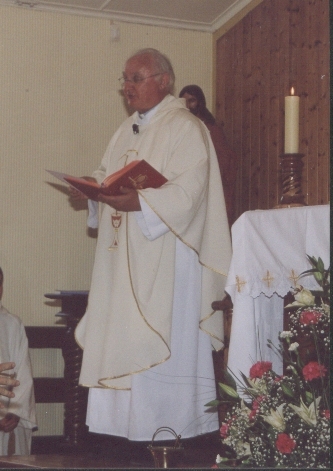 The Priest was Fr. 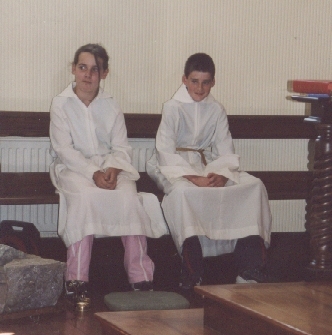 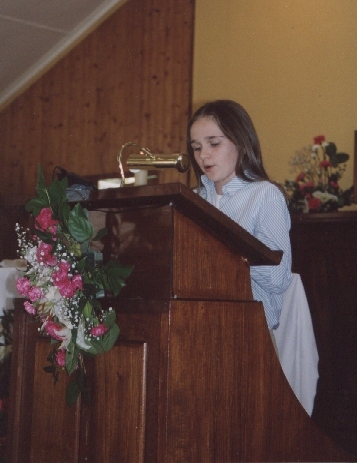 Gerard Casey and the altar servers were Sarah Kennedy and John O’Connor. 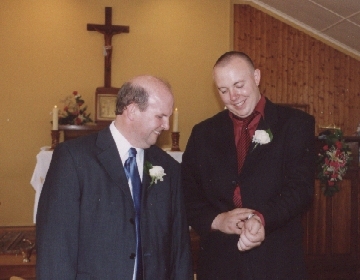 Best Man Eoin Noonan gets impatient. 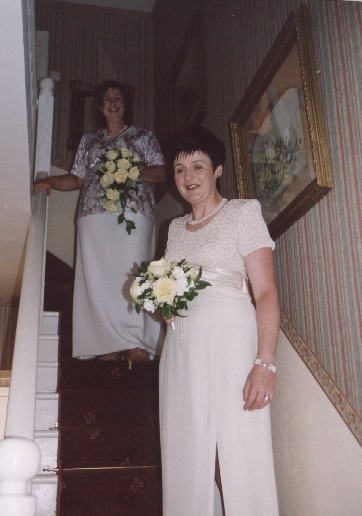 The Bridesmaid Kathleen Kelleher O’Connor waits patiently for Attracta to come down the stairs. 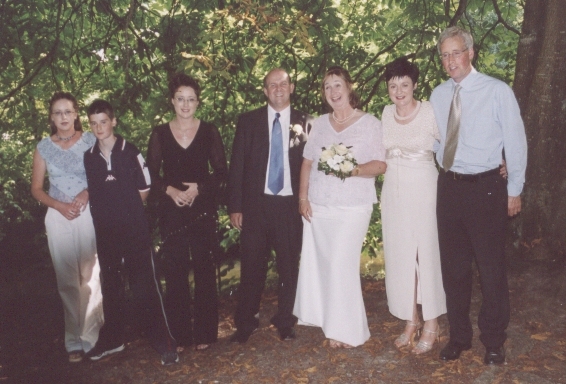 The bridesmaid’s O’Connor’s and the grooms O’Connor’s are not related. 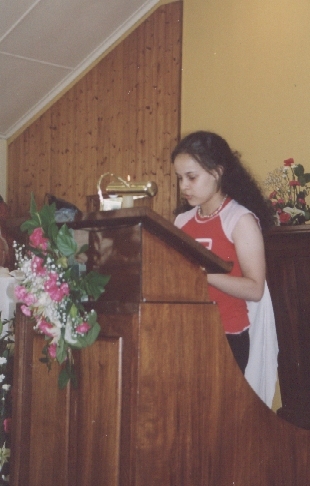 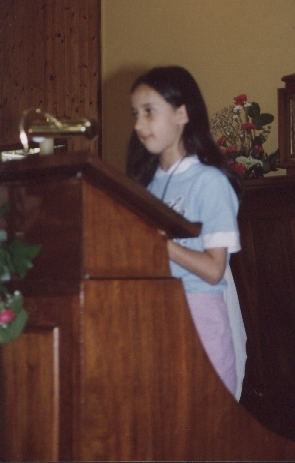 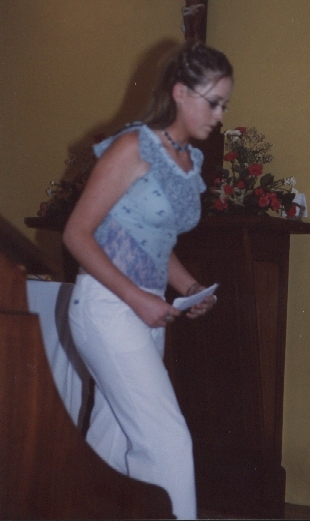 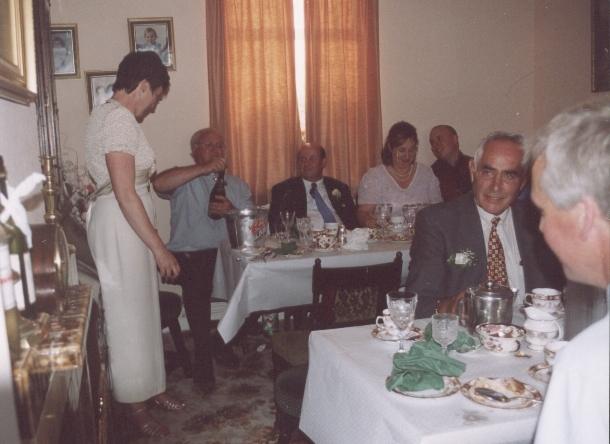 Attracta was given away by her father Jack. 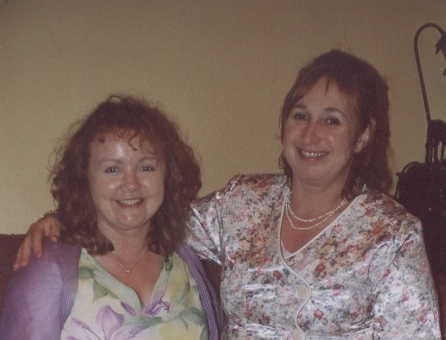 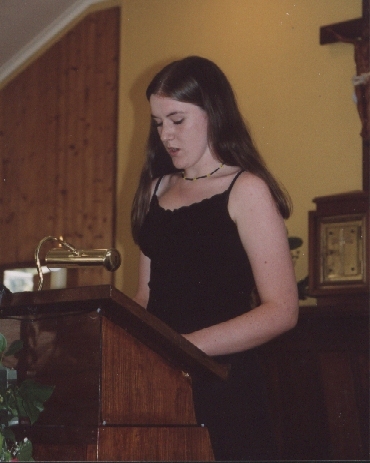 Niamh Kennedy and Denise Soupe did the readings. 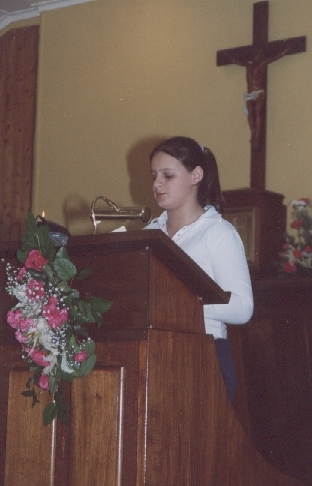 Emma and Catriona O’Connor, Caroline Soupe, Deirdre Sheill and Amy Divilly read the Prayers of the Faithful. 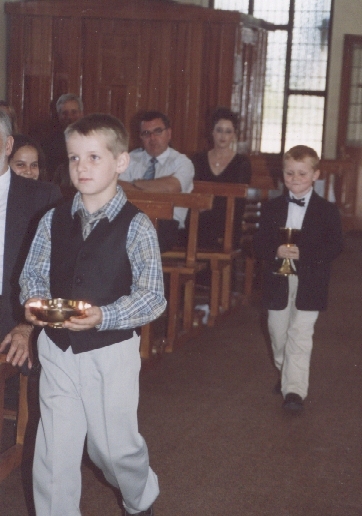 Michael and Jack Kennedy and David Sheill brought up the Offertory gifts. 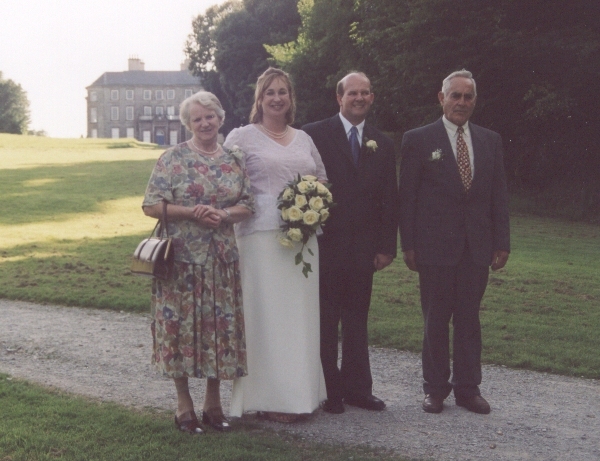 John’s wife Betty, Caroline’s husband Billy and Sinéad. 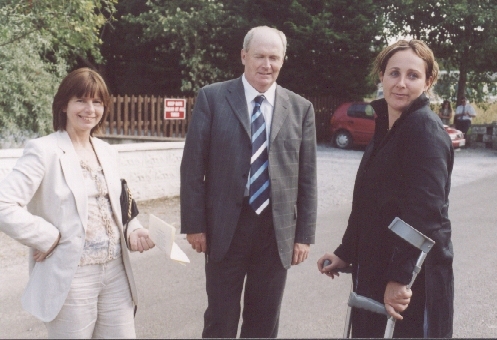 Pat Hogan, Eoin, Denis Hogan and Eoin’s fiancée Evelyn. 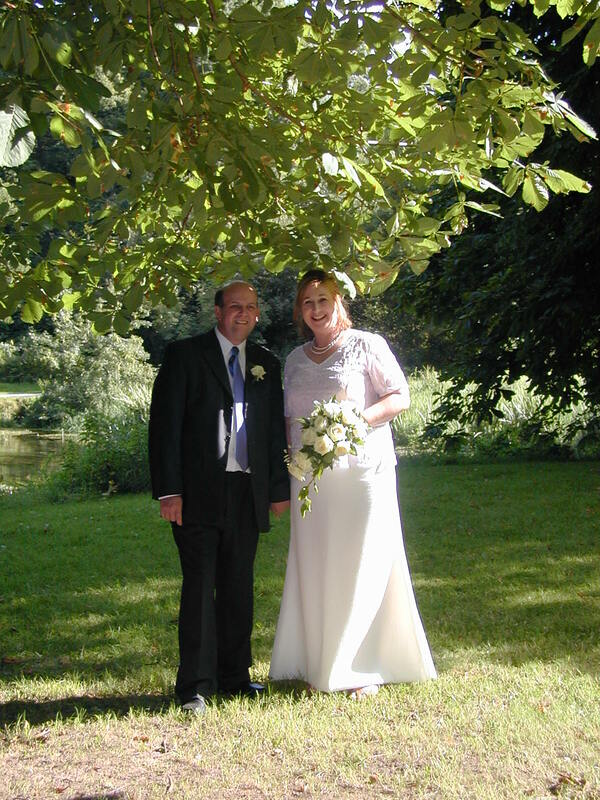 Posing in the shade of the trees at Doneraile House Park and on the rustic bridge. 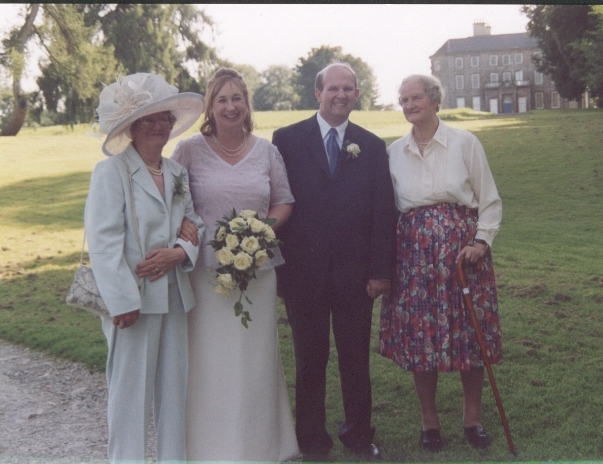 Jack and Jenny Kennedy, Beda O’Connor and her sister Pearl O’Brien. 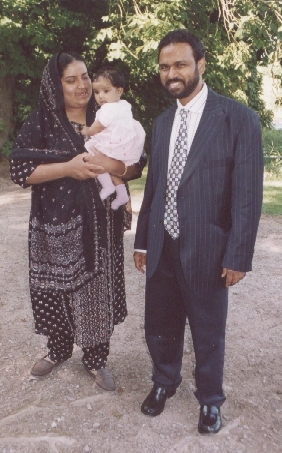 Attracta’s Indian friends Hameed, Naseema and their daughter Maryam. 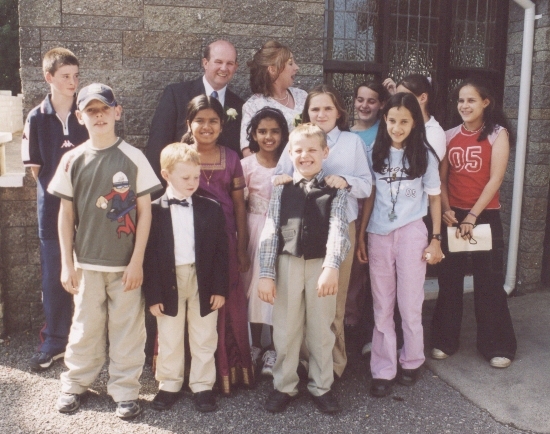 Some of the kids, Hameed’s other girls are in the purple (Ayisha) and pink (Fathima) dresses, Michael Kennedy is in the cap. 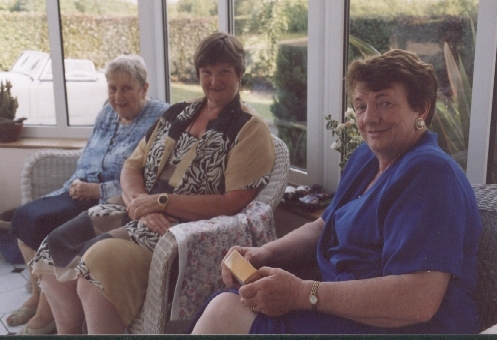 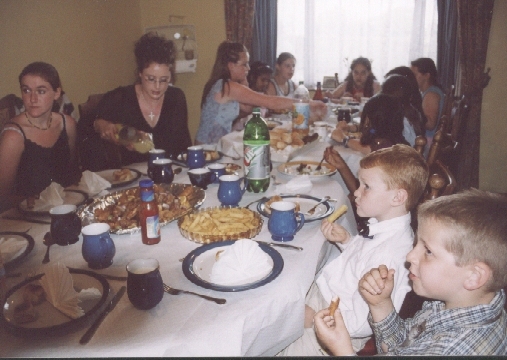 The reception was held at Kathleen’s house, the adults in one room and the children in another, the day was fine so people could relax outside after the meal or chat in the porch ( Mrs. Bridgie O’Connor, Noel’s mother, Jane Bourke and Eileen Dolan). 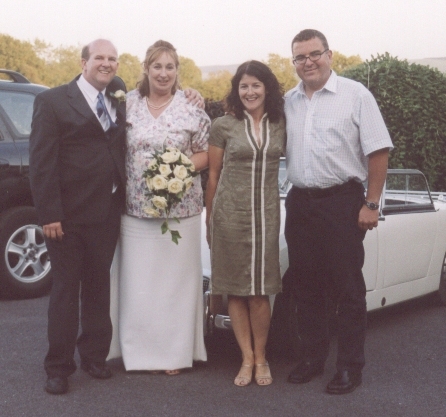 Gerard’s cousin Noreen and her husband Brian. 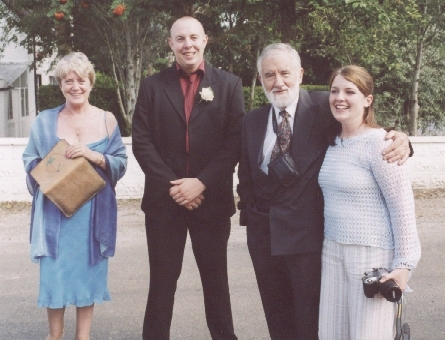 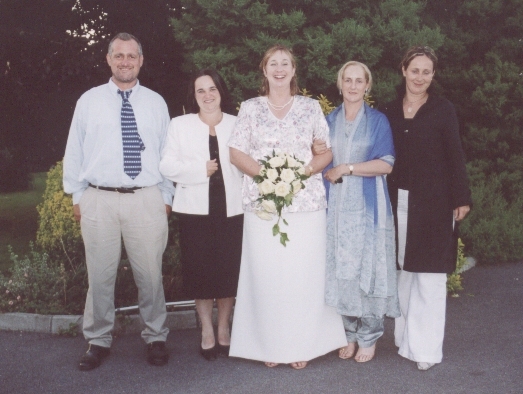 Attracta’s siblings John, Caroline Sheill, the bride, Ann Soupe and Sinéad.